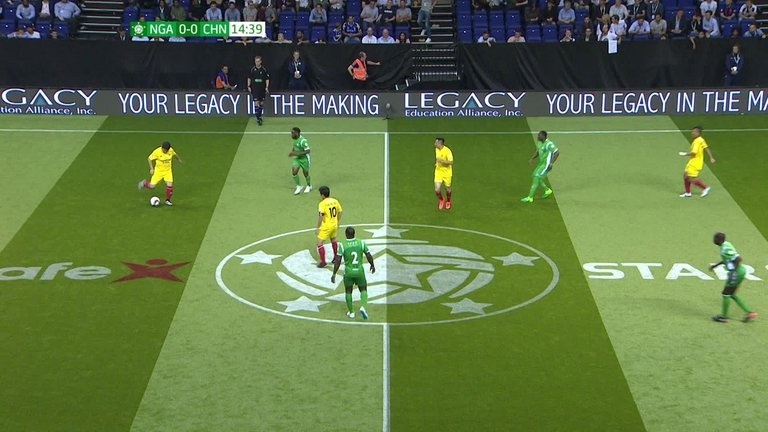 Former Super Eagles stars, Yakubu Aiyegbeni scored a brace and Daniel Amokachi scored once to roll back the years as Nigeria beat China 3-2 in the Star Sixes legend tournament at the 02 Arena in London on Thursday. The unique tournament features retired players who have previously featured for their countries and for Nigeria, there was a mixture of players from Nigeria’s most successful era of 1994 – 1996, and some who played a bit later. The Nigerian team includes goalkeeper Peter Rufai, defenders Uche Okechukwu, Celestine Babayaro, Joseph Yobo and Taribo West. Austin ‘Jay Jay’ Okocha and Garba Lawal are the midfielders, while Julius Aghahowa, Yakubu Aiyegbeni, Victor Ikpeba and Daniel Amokachi make up the attacking lineup. But it was Yakubu and Amokachi who grabbed the headlines in the group opener, as they both scored, with Okocha providing those trademark flicks and passes which made him a fan’s favourite during his days.